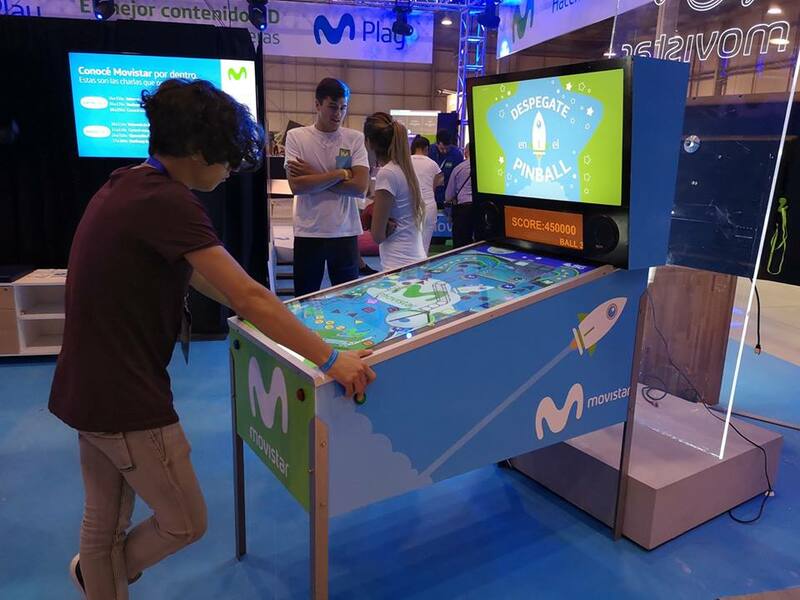 For the first time in Uruguay, the massive and global event was held on March 15-17, 2019 at “Punta del Este Convention & Exhibition Center.” It featured three simultaneous stages, hackathons, workshops, and various innovation and creativity challenges. GeneXus offered presentations and workshops about Design, DesignOps, Artificial Intelligence, Mobile Platform Development, Entrepreneurship, and Innovation. Gabriel Simonet, GeneXus CMO, shared the experience of creating soccer apps, as well as the entrepreneurial process involved until achieving tangible results. 2) Design is evolving. What about you? This presentation offered by Mauro Canziani, from the GeneXus Design area, was aimed at discovering how the design role has evolved in software companies. This workshop was offered by Mauro Canziani and Juan Michelini. Using one of the currently most popular design tools (Sketch), some of the basic principles of DesignOps were shown in practice for designers. DesignOps seeks to facilitate collaboration and automation between the worlds of Design and Development. User Experience (UX) design is critical in capturing and keeping users satisfied. In addition, bringing design to the various mobile platforms is very complex when developing applications. DesignOps is a set of tools, processes and principles that speeds up the transition from design to development. The Hands-on Artificial Intelligence Lab was offered by the GeneXus R+D team. It was an opportunity to use the new GeneXusAI module and our development platform to build an application for Smart Devices running artificial intelligence services in the cloud. 5) ThalesLab: Our drive is to create new companies! ThalesLab, a company that creates new companies, is jointly led by GeneXus CEO Nicolás Jodal and Sylvia Chebi. Ms. Chebi told attendees how they help others create innovative enterprises, as well as how to access their financing, mentoring, support, and networking benefits. In this session, Sylvia Chebi started from the question “How many times have you been told that you should network?” Then she shared tips to help introverts interact with other people, and revealed effective strategies to make the most of Campus Party. The first day at Campus Party also included an interesting presentation by Linux founder, Jon “Maddog” Hall, who addressed the challenges of Programming in the 21st Century. The topic of Big Data was addressed by Fredi David Vivas, founder of RockingData, who talked about Big Data, Innovation, and Data Science. The jobs of the future and the redefinition of success were other topics discussed on the first day. On the second day at Campus Party, there were outstanding presentations including one by Mateo Salvatto who, in spite of being only 17, has won an international robotics competition and promotes inclusive technology with his project “¡Háblalo!” (Speak up!) selected by the MIT as Humanitarian Innovator. In his presentation titled “You don’t have to be old to change the world,” Salvatto talked about his experience as a social technology entrepreneur. Avedis Boudakian, Co-Founder & CCO of The Electric Factory, talked about large-scale innovation. In addition, interesting presentations were given by Paco Ragageles, Co-founder of Campus Party; Chema Alonso, Chief Data Officer at Telefónica; Neil Harbisson, Cyborg and Visual Artist; Haldo Spontón, Head of AI & Business Transformation Globant, and Miguel San Martín, electronic engineer at NASA. This mobile development hands-on workshop was offered by members of the GeneXus R+D team, who explained how to start developing applications for Smart Devices. In it, an Android application was developed in an informal setting with the team’s help, to showcase some of the features and ease of use of the GeneXus development platform. DIY Robocars Montevideo is organized by GeneXus, ThalesLab and Plan Ceibal, with support from ANII and FOMIN. Valentina from ThalesLab offered a workshop about UX, on the basis that 40% of our thoughts are memories. “Good or bad, memories are past experiences that make the user empathize or not with a person, brand, product, service, process, etc.” The workshop provided tools for designing end-to-end experiences, with the objective of learning how to transform experiences into memories that bring a smile to users. How can we do it? By applying innovative design to build an emotional and empathetic relationship with users. Campus Party ended on March 17 with presentations by Julio Rezende, Founder of Hábitat Marte; Andrés de León, COO at Hyperloop Transportation Technologies; and Daniel Morales, E-Sports Account Manager – Latin America RIOT. For the GeneXus team, it was very rewarding to be able to share knowledge and interact with the audience, which included many young people. Thank you Campus Party for inviting us to participate!